Last night, the Queen Bey came off of maternity leave just in time to kill the stage for Jay-Z’s final show at the Barclays Center. 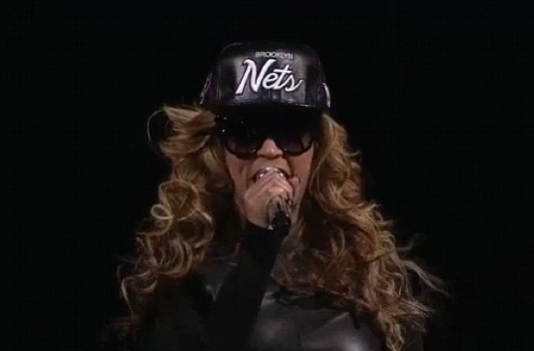 Dressed in a Brooklyn Net’s cap, she came out talking-that-talk to ‘Diva’ before giving the crowd a mean stare down for at least 30 seconds. She then burst out laughing while saying, ‘What’s up Brooklyn? I’m so glad to be here’. ‘Crazy In Love’ was next on the agenda. 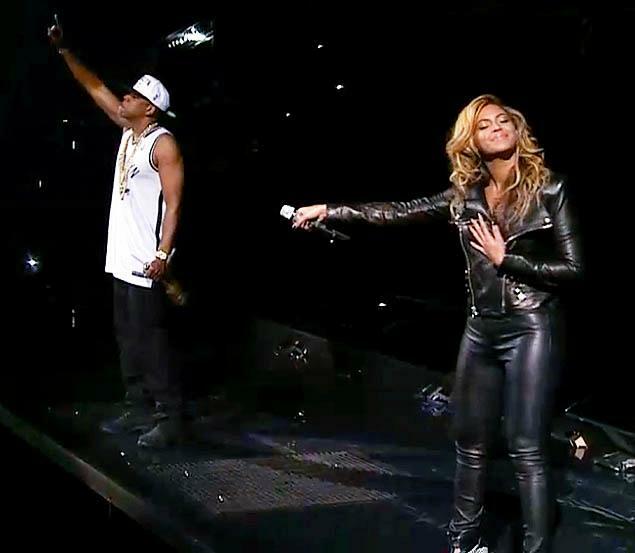 Jay appeared on stage a few seconds behind the time to deliver his verse, but made up for it later when he tapped Beyonce’s booty on cue (circa 2006 BET Awards). To add to the dramatics, Beyonce dropped the mic and strutted off stage at the end of the performance. The night wasn’t quite over for Bigga as the two hit the stage together again to close out the show with ‘Forever Young’. Did we mention how much we love these two? This entry was posted in Celebs and tagged Barclays, Beyonce, Bigga, couple, Crazy In Love, Diva, First Couple, Forever Young, hip hop, Jay-Z, Jigga, marriage, married, performance, relationships. Bookmark the permalink.